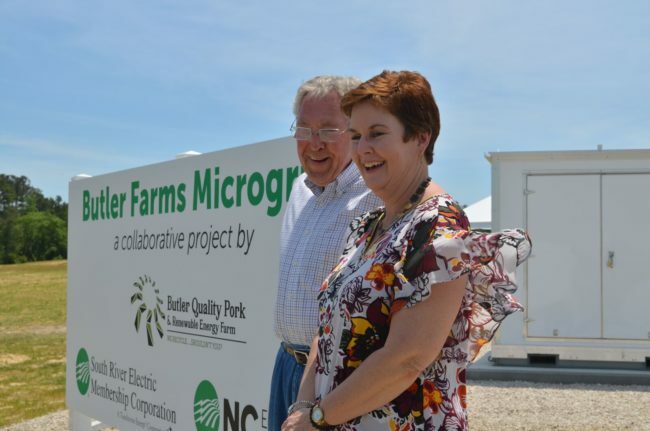 South River EMC, North Carolina’s Electric Cooperatives and Butler Quality Pork and Bioenergy Farms were recently honored as one of Public Utilities Fortnightly’s Top Innovators of 2018 for their innovative work on the Butler Farms microgrid project located in Lillington, N.C. The project was selected as one of the top 12 innovators out of more than 70 nominations submitted nationwide. Innovation is a key strategy of co-ops as we work to find new ways to benefit members as technology changes our industry. This agricultural microgrid uses local energy resources and technology to supply power to a defined area. The project benefits rural North Carolina by combining agriculture and energy to improve grid resiliency and optimize the use of renewables, including solar and biogas. Chris Spears, CEO of South River EMC (left) and Tom Butler, owner of Butler Farms. It is also helping the state’s co-ops explore the potential benefits of using microgrids as a demand response resource, and is serving as a case study for how agriculture and electric utilities—two of our state’s most important industries—can work together to improve sustainability and quality of life. 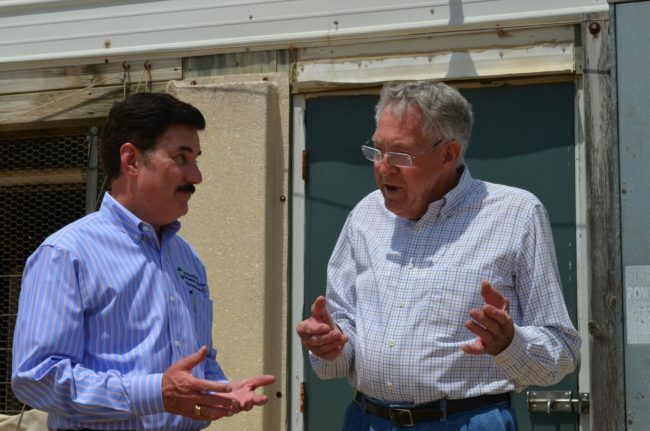 It is the first microgrid in the state to be developed by an electric co-op in partnership with the agriculture industry, and the first that utilizes components owned by a co-op member. The project was spearheaded by Chris Spears, CEO of South River and Catherine O’Dell, their vice president of member services and public relations, along with Tom Butler, owner of Butler Farms, and members of North Carolina’s Electric Cooperatives’ innovation team. Tom Butler and Cathy O’Dell of South River EMC at the Butler Farms Microgrid Dedication Ceremony. Learn more about this ground-breaking project in the November issue of Public Utilites Fortnightly or in the Energy and Innovation section of our website.